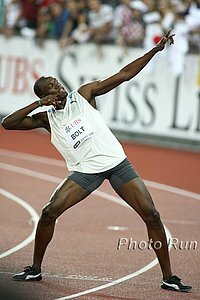 "People in Ethiopia are generally not interested in sprint events, but everyone including myself wanted to see Usain Bolt - especially after he had won the 100 metres. He was flying." - Marathon world record holder Haile G talking about how even he was impressed by the Jamaican sprinter.